Everyone loves gear! 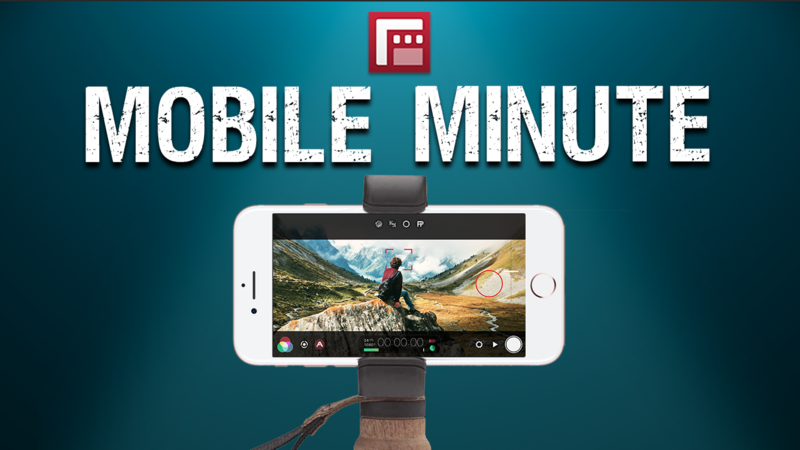 Today FiLMiC Pro launches their new weekly gear series, the Mobile Minute Gear Spotlight. We will showcase the best gear for mobile video and photography. This spotlight series sets out to highlight the diverse collection of mobile gear and accessories out there in one short and engaging minute. We will be showcasing stabilizers, microphones, sliders, cases, lenses and other accessories that can help you up your mobile video productions with a brief overview that includes size and price. This is not a series of in depth reviews or comprehensive demonstrations. The purpose of the Mobile Minute Gear Spotlight is to create a quick, visually interesting snapshot of a product you may have been unaware of. We will give you the basics, and if you find something you like then search online for a detailed review or demonstration. If you have ideas for compelling gear we should cover, drop us a line on social media or at info@filmicpro.com. So with that, let’s take a quick look at what is out there starting with this weeks Spotlight on the ShoulderPod S2. Then stayed tuned for weekly installments of the Mobile Minute Gear Spotlight this holiday season! Tagged epic tutorials, gear, gear series, mobile minute, mobile video, video, video gear.